We believe anyone can dance, it’s just a matter of a little guidance for some or simply providing a dance floor for others. 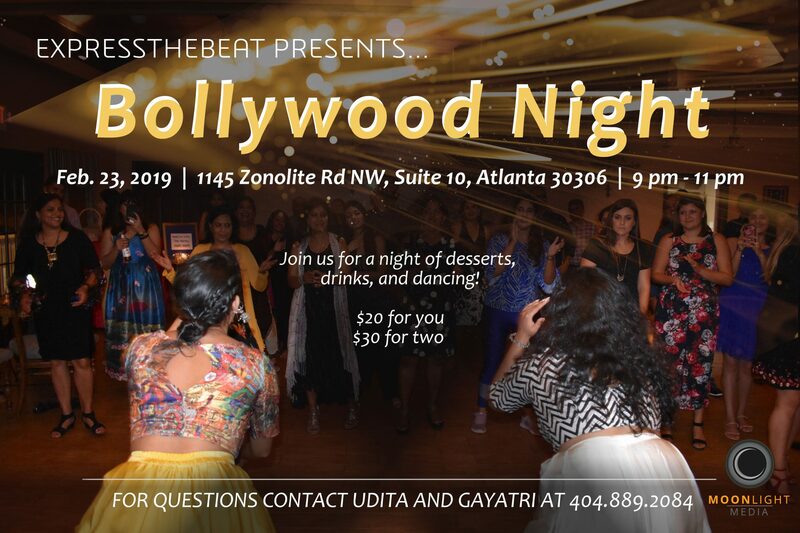 Come grab a drink, loosen up and follow along to a simple, yet energetic Bollywood choreography. We love to emphasize that NO prior dance experience is required; just come to have some fun! Dress code: Look good, feel good. *Please note, $5 extra for ticket purchases at the door. Have questions?! Feel free to DM or email us at expressthebeat@gmail.com :) See you on the dance floor! DJing & capturing unforgettable moments by Moonlight Media LLC!